Do you need an arena dust control solution? Is your riding arena dust out of control? 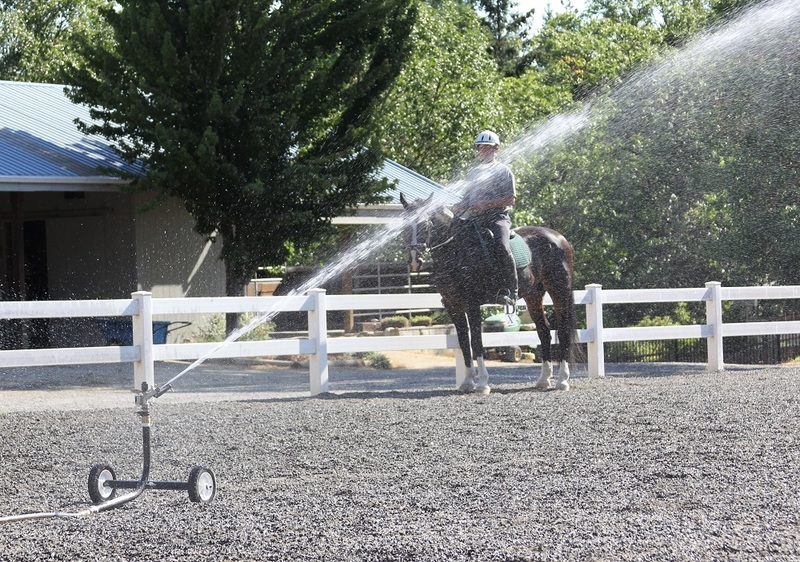 BigSprinkler.com has horse arena sprinkler solutions that are both affordable and superior to anything you can find in local stores. Calm the dust with our heavy duty sprinkler carts, traveling sprinklers or individual sprinkler heads for your permanent side mounts. Our sprinkler carts are perfect option for a quick and portable dust control solution. If the water source for your arena is a garden hose connection then the 1000F or 1000R sprinkler carts is the most popular choice. The 1250K and 1500H sprinkler carts can provide more coverage but would need to be supplied a larger water source. Our sprinkler carts are a great alternative to in-ground sprinkler systems or traveling sprinkler systems when a lower cost but still effective watering method is needed. The RG20 and RG25 Traveling Irrigation Sprinklers are a perfect choice anywhere portable, unattended irrigation is desired. Traveling sprinklers eliminate the need for manually moving hoses or sprinklers from place to place. They are both completely water powered using a field proven and efficient turbine drive system which utilizes the flow and pressure from your garden hose to retract the reel at the speed you choose. The RG25 comes in as an optional “high-speed” model that retracts at a quicker rate and is specifically designed for dust control applications. Another option for your arena are side mounted arena sprinklers. 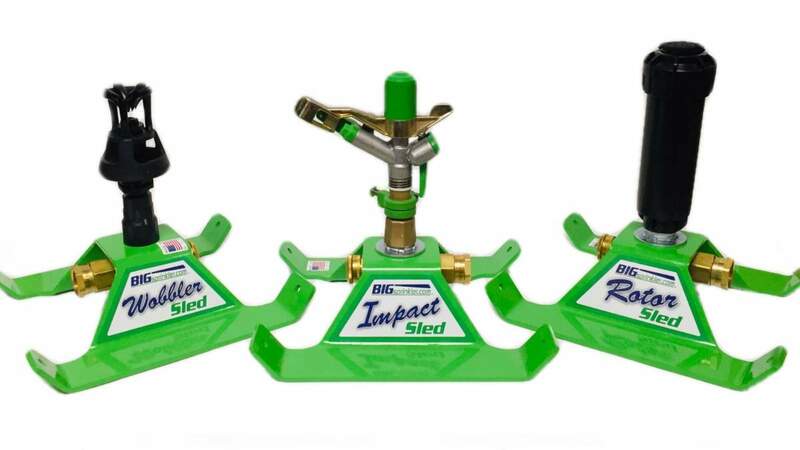 Our large variety of impact or gear drive sprinkler guns provides you the options needed to maximize the coverage of your arena. Whether you need to replace the heads on an existing system or you are in the process of designing a brand new arena. These are just some of the many options that could settle the dust in your riding arena.